If you think that potatoes are too "boring" as subjects for a science project, think again. There are several potato-based ideas you can use for your science fair project, from simple to complex. Although you may want to tackle them from the botanical angle, potatoes can also be useful in other scientific areas. One of the simplest science fair projects you can do with potatoes involves testing the effect of your sense of smell on your sense of taste. Cut an apple and a potato into equally sized pieces. Then gather several people (at least 10) and have them close their noses and taste a bite from both of the pieces. Write down how many of your subjects answered correctly, and how many answered incorrectly. If the two values are similar, you know that the subjects' inability to smell prevented them from differentiating between two tastes. Interpret your data logically and make a generalization about the senses of smell and taste. How Many Spuds Will Grow? If you look at a potato that has been sitting out for a while, you will probably see many spuds covering the surface. You can tell that each of these spuds has the ability to sprout into a potato plant, but does that mean that several potato plants will sprout from one potato? 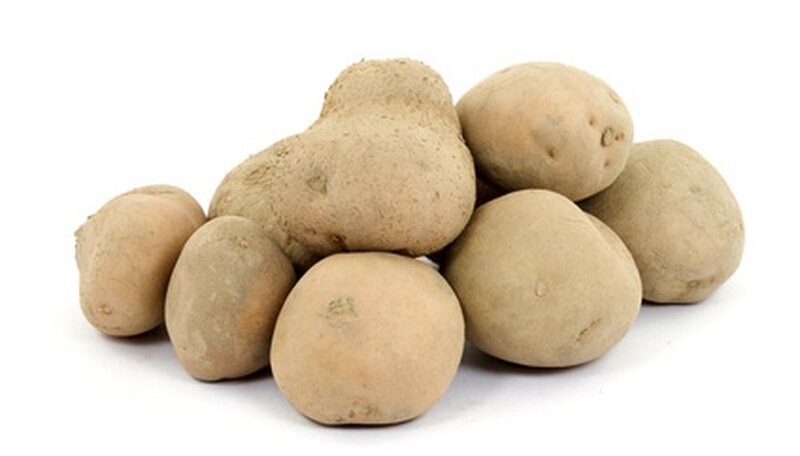 To explore the function of these spuds, plant the potatoes and see what happens. Leave one potato whole, and plant it in a pot filled with soil. In each additional pot, plant a piece of cut potato, and write a note on the outside of the pot that explains how many spuds were on that piece of potato. You will want at least one potato piece to have only one spud, and at least one to have no spuds at all. You can also plant two pieces of potato together in one pot, joined by a rubber band and labeled accordingly. Then water the potatoes for several weeks before digging them up and examining how many spuds sprouted. Perles, Carrie. "Science Fair Project for Potatoes." Sciencing, https://sciencing.com/science-fair-project-potatoes-6460507.html. 25 April 2017.